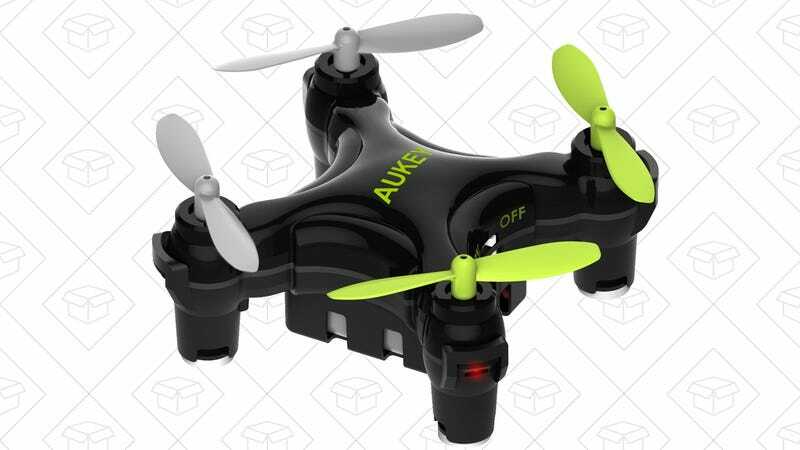 Before you go out and spend hundreds of dollars on a DJI Phantom, you can learn the basics of flying a quadcopter with this $24 toy drone from Aukey. Trust me, if you can fly this thing, you can fly a GPS-equipped, gyro-stabilized camera rig. And if not, well, it’s not like crashing it will be that big a deal. It would also make for great little holiday gift, if you want to cross some people off your list early.